Earl DeHass Obituary - Bellefonte, Pennsylvania | Wetzler Funeral Home, Inc.
Earl H. DeHass, 71, of Bellefonte, passed away on Tuesday, February 6, 2018 at home surrounded by his family. Born in Bellefonte, on January 21, 1947, he was the son of the late Miles and Helen (McCloskey) DeHass. He is survived by his companion of 21 years, Beverly Rockey. He worked for Hanover Foods for 48 ½ years until his retirement in August 2012. In addition to his companion, Beverly, he is survived by three daughters, Angela DeHass (Allen Steele) and Pamela DeHass, Michelle Auman (Philip), and one son, Jonathan Rockey (Daria); son-in-law, Justin Rupert, six grandchildren, Alexis DeHass-Ewing, Bradley Musser, Colton Rupert, Mitchell Rockey, Mason Auman, and Taylor Lynn Finken; one great-grandson, Greyson Baker. Also surviving is one brother, Miles DeHass (Carol), as well as the mother of his daughters, Carol Johnson DeHass. In addition to his parents, he is preceded in death by one daughter, Kylee DeHass Hutchinson, one sister, Jane DeHass, and three brothers, Paul, Robert, and James DeHass. Earl coached softball for over 28 years, during that time he started the first youth girls league in the Penns Valley Area. He won several district and national titles coaching women’s softball and was very active in the women’s league at Hess Field. Earl was inducted to the Coaching Hall of Fame in Sunbury. The family would like to acknowledge and thank all the former players and sponsors, Goodies Refuge, Dairy Queen, Loggers, Har-Brack, Protocol, Duck Sheet Metal, and Joel Confer. 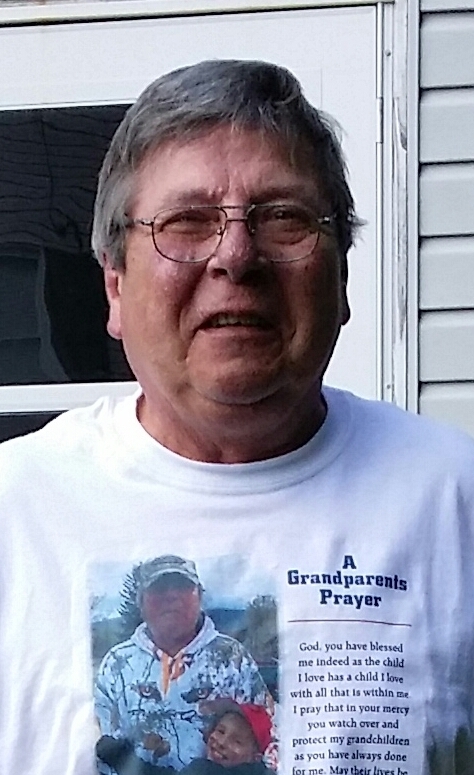 He loved hunting, especially for coyotes, spending time with his family and grandchildren, and going to consignment sales with Bev. Earl was a tinkerer who could make something out of nothing. There will be a public viewing held on Thursday, February 8, 2018 from 5:30-7pm at Wetzler Funeral Service, Inc. at 206 N. Spring Street Bellefonte. Funeral services will immediately follow at 7pm at the funeral home with Rev. Calvin Miller officiating. Burial will be private at the convenience of the family. Memorial contributions may be made to the American Cancer Society at 1375 Martin Street #206 State College, PA 16803. To send flowers to the family of Earl H. DeHass, please visit our Heartfelt Sympathies Store.